Portugal’s armed forces are sending two ships with helicopters and medical supplies to Madeira island, where floods have killed at least 32 people. Extra search and rescue teams were expected to arrive on Sunday to help clean up after mudslides and raging floods tore through towns on Saturday. Officials fear the death toll could rise. Water, power and phones were cut in some areas. PM Jose Socrates, who is in Madeira, said he would “do everything to help”. The storms were the worst there since October 1993, when eight people died. “So far we have confirmed 32 deaths but eventually the number may increase,” regional official Francisco Ramos was quoted as saying by Portuguese newspaper Publico. Madeira is located about 900km (560miles) from the Portuguese mainland and is popular with foreign tourists. Officials say the extra emergency teams being sent include 56 military rescuers with search dogs and 36 firefighters. Portuguese Interior Minister Rui Pereira, who has also flown to the island, said forensic experts would conduct post-mortem examinations to allow funerals to take place soon. 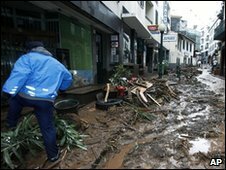 The regional capital, Funchal, among the worst affected areas by Saturday’s floods and mudslides. Trees have been brought down and cars swept away, blocking roads and hampering relief teams. Some bridges and roads have been washed away. British holidaymaker Cathy Sayers told the news Funchal was like a ghost town. She said the infrastructure had been wrecked. “I think everyone is extremely shocked that this has happened at this time of year,” she said. The president of the regional government, Joao Jardim, said outdoor markets would be encouraged to reopen. “We don’t know how much it will affect the tourism, but there is no point in dramatising the situation too much,” he said. Local media say the authorities’ main concern now is for residents of Nuns valley – an isolated mountainous region that rescue workers have been unable to reach. The Weather Center says the severe weather was due a low pressure system, and that while Madeira can expect further rain with heavy downpours on Sunday, there is no danger of a repeat of the flash floods. Do you live in the area? Have you been affected by the floods and mudslides? Are you visiting the island? Jeremy Bowen assesses the fall-out in the Middle East from the alleged assassination of Hamas commander Mahmoud al-Mabhouh by Mossad agents in a luxury Dubai hotel. “Shame you are not filming on a Friday,” said a local resident. Jimmy, the BBC cameraman, was trying to get some decent pictures of the Dubai skyline, but there was a haze that was not helping. Even with Dubai’s well-advertised economic problems there is still a lot of construction going on, by the standards of most places. This is my first proper trip to Dubai since the late 90s and it is unrecognisable. Back in the 1960s, according to my uncle who was here with the British army, the runway lights at Dubai airport were barrels of burning tar. When I was here first, on my way to Afghanistan in the late 80s, a fairly compact city was surrounded by a sweep of open desert, which just is not there any more. They must have poured tens of millions of tonnes of concrete to build this sprawling city state. As I write, I can see a burnt orange sun setting behind the Burj Khalifa, the new skyscraper that is the world’s highest building. It is extraordinarily tall. Acres of gardens and golf courses in Dubai are green and lush, in a place with almost no rain, thanks to hugely expensive desalination plants. The climate is wonderful right now, but in the summer it is appallingly hot and humid. Never mind, everywhere is air-conditioned, especially the indoor ski slope, where they make real indoor snow and have a black run for experts. Love it or hate it, they have tamed nature to build an incredible city. 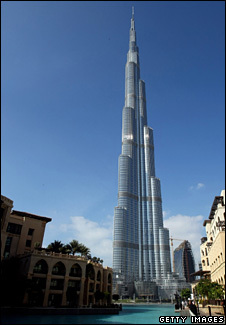 Perhaps they never thought they could tame the Middle East too, though minds that could conceive the Burj Khalifa are not short of ambition. But if not tame it, they were hoping to insulate this place from its dark, violent ways. The assassination of the Hamas official Mahmoud al-Mabhouh proves that was one unobtainable dream. The long war, the century or so of conflict between Arabs and Jews, cannot be defeated by property developers. Its capacity to generate and export violence is unparalleled in today’s world. Was Mr Mabhouh killed by Mossad, the Israeli secret service? I do not know. But there is circumstantial evidence that he was. And he was an enemy of Israel, according to the press there, involved with arms shipments into Gaza. In the kind of phrase Israelis use, he had Jewish blood on his hands. Hamas gave him a hero’s funeral. Mossad has form. Assassination has been one of its specialities since the time that Israel was killing Nazis in the 1950s. If Israel was behind the assassination, then its Prime Minister Benjamin Netanyahu might well be troubled by the ghosts of assassinations past. In 1997, during his first stint as prime minister, he authorised a Mossad hit on an up-and-coming man in Hamas, a Palestinian called Khaled Meshaal. Two Mossad agents approached Mr Meshaal as he was walking down a street in Amman, the Jordanian capital. They sprayed poison into his ear, but they bungled their escape and were found to be carrying false Canadian passports. King Hussein, who hadn’t long since signed a peace treaty with Israel, was outraged. For him, it wasn’t just a breach of trust. Rumours started that he was somehow complicit in the attack. With Mr Meshaal close to death, King Hussein demanded that Israel gave his doctors the formula for the poison and the antidote. To get their two captured agents back, the Israelis was forced to release dozens of Jordanian and Palestinian prisoners. Khaled Meshaal survived and is now the most senior political figure in Hamas, living behind heavy security in Damascus. So it was not a good time for Mr Netanyahu. King Hussein refused to see him when he went to Amman to apologise and the then head of Mossad was forced to resign. 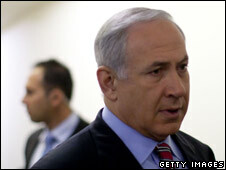 Israelis viewed the affair as a costly fiasco. It was one of the factors that contributed to a comprehensive defeat of Mr Netanyahu in an election two years later. There is one very significant difference between then and now. 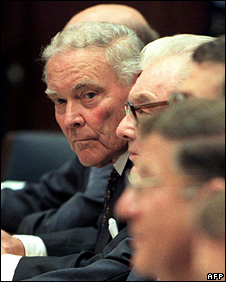 In Amman in 1997 the would-be assassins were apprehended, along with their false Canadian papers. This time round the alleged assassins’ faces have been published, along with their assumed names. If they are Israeli agents, or freelance killers, then their identities have been blown. But they are not in custody and that makes it much harder to prove that Israel did it. If Israel had nothing to do with the killing, or with the theft of the identities of six British-Israelis for the alleged assassins’ passports, then Mr Netanyahu, now in his second term, has nothing to worry about. But if Mossad is responsible, and that is the assumption in Israel as well as here in Dubai, then he has some sweating to do in the next few weeks. Illegal gambling has spread rapidly across Russia since a new law came into force last July banning casinos and slots machines in towns and cities, according to a senior police officer in an exclusive interview with the BBC. Col Oleg Bolderov of the economic crimes department of the Russian police said they had carried out thousands of raids over the past eight months. “We have closed down 70 casinos and 4,000 slot-machine arcades… and have brought 600 criminal cases against those trying to organise this (illegal gambling),” he said. 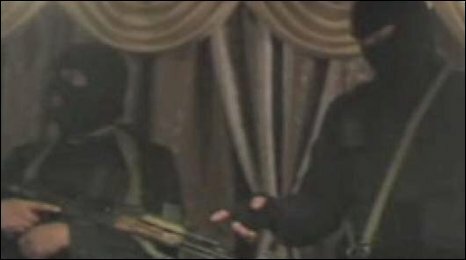 A police video of one of the raids given to the BBC shows heavily armed officers dressed in black, breaking into an illegal casino and catching the staff and punters red-handed. Brandishing automatic weapons, two police officers stand over a poker table busy with startled gamblers. 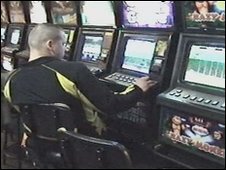 But despite the crackdown, well-placed sources connected to the formerly legal gambling industry say underground gambling dens continue to flourish in the capital, Moscow, and in St Petersburg, while in more far-flung cities very little actually changed when the law came into force last July. There are also allegations that some senior police officers are actively offering to protect illegal casinos in return for huge pay-offs. “We were approached by a police official who told us that for $400,000 per month we could stay open,” said one source who wished to remain anonymous. 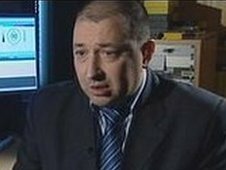 Even Col Bolderov admits that authorities are fighting a losing battle against the continuing huge demand for gambling as well as against corrupt officials. “One of the most probable explanations for the rise of illegal gambling is corruption,” he says. “In our police department, we do our best to close down underground casinos and slot-machine halls and we have some success. In the centre of Moscow it is easy to find slot-machine arcades operating openly, although slightly more discreetly than before. And it took just a few phone calls to arrange a visit to an illegal casino. I was told to leave my bag behind to ensure I had no recording equipment or cameras with me. The owner then led me through corridors and heavy doors, which could only be opened using special security codes, into the casino. It was not large but it had pristine poker tables, a roulette wheel and hi-tech slot machines. At the bar, a lone gambler, his back turned to me, nursed a drink. According to industry sources the illegal casinos were up and running just four months after the ban came into force. The new law, which should have put an end to gambling in Russia’s towns and cities, was pushed through by the former president and now Prime Minister, Vladimir Putin. Casinos and slot-machine arcades had come to dominate city centres with their gaudy neon entrances. The gambling industry, which was resurrected after the collapse of the Soviet Union almost twenty years ago, had grown to be worth around $6bn (4.4bn euros, £3.9bn) a year. And the number of addicts was also growing. The government’s plan was to banish gambling to four specially-designated zones in the remotest regions of the country. But the zones were so remote that none of the big casino operators was prepared to invest the huge sums of money required to have the slightest chance of attracting gamblers to travel so far. So for the most part, they remain empty plots of land. In a forlorn ceremony earlier this month however, one casino in one of the regions did finally open its doors. It is at least a two hour drive from the nearest city and airport, in the middle of nowhere in the far south of the country. No other casinos have been built so far in any of the regions. Already there are calls for the law to be revised on the basis that it has simply driven gambling underground and provided corrupt officials with yet another opportunity to solicit bribes. The Dutch government has collapsed over disagreements within the governing coalition on extending troop deployments in Afghanistan. After marathon talks, Christian Democratic Prime Minister Jan Peter Balkenende announced that the Labour Party was quitting the government. He offered his government’s resignation to Queen Beatrix in a telephone call. The premier had been considering a Nato request for Dutch forces to stay in Afghanistan beyond 2010. But Labour, the second-largest coalition party, has opposed the move. 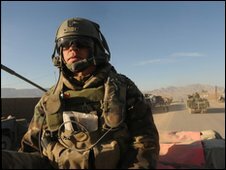 Just under 2,000 Dutch service personnel have been serving in the southern Afghan province of Uruzgan since 2006, with 21 killed. Their deployment has already been extended once. The troops should have returned home in 2008, but they stayed on because no other Nato nation offered replacements. The commitment is now due to end in August 2010. The Dutch parliament voted in October 2009 that it must definitely stop by then, although the government has yet to endorse that vote. Mr Balkenende’s centre-right Christian Democrats wanted to agree to Nato’s request to extend the Dutch presence in Afghanistan. But this was bitterly opposed by the Dutch Labour Party. The finance minister and leader of the Labour Party, Wouter Bos, demanded an immediate ruling from Mr Balkenende. When they failed to reach a compromise, Labour said it was pulling out of the coalition. 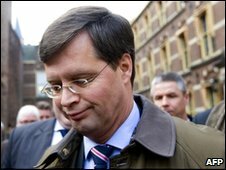 Mr Balkenende said he would offer the cabinet’s resignation to the Dutch Queen Beatrix later on Saturday following the collapse of the government. It was announced after a 16-hour cabinet meeting which ran into the early hours of Saturday morning. The prime minister said there was no common ground between the parties. “Where there is no trust, it is difficult to work together. There is no good path to allow this cabinet to go further,” he said. The launch in 2001 of Nato’s International Security Assistance Force (Isaf) for Afghanistan was the organisation’s first and largest ground operation outside Europe. Secretary-General Anders Fogh Rasmussen said six months ago when he began his job that his priority was the war in Afghanistan. As of October 2009, Isaf had more than 71,000 personnel from 42 different countries including the US, Canada, European countries, Australia, Jordan and New Zealand. The US provides the bulk of foreign forces in Afghanistan, and President Barack Obama has announced an extra 30,000 American troops for Afghanistan. The Pentagon has said the next 18 months could prove crucial for the international mission in Afghanistan, after more than eight years of efforts to stabilise the country. Afghanistan remains a deadly place for foreign forces. Suicide attacks on Afghan civilians and roadside bomb strikes on international troops are common, with the Taliban strongly resurgent in many areas of the country.